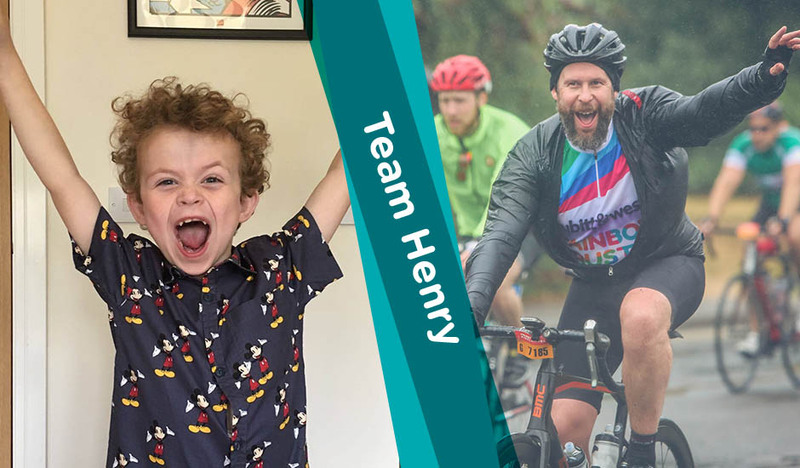 Join us this August for RideLondon-Surrey 100 as part of Team Henry. RideLondon is a challenge that’s not to be missed – this is your chance to enjoy cycling through the closed roads of London and Surrey, whilst taking in the sites of the capital and the stunning Surrey countryside. Henry was born with a rare condition called Posterior Urethral Valves which has left him with severe kidney and bladder damage. Henry’s working kidney is currently functioning at 17% and when this reduces to 15%, which doctors believe is imminent, he will need a transplant. Godfrey, Henry’s dad is preparing to donate his kidney to Henry when its needed. Henry’s family have been supported by Nicki a Family Support Worker from Surrey for the past few years. By taking part in RideLondon you will help us support children in Surrey like Henry. Support from our three loud cheer points along the route. You can read more about Henry and his family here. For more information please contact us on events@rainbowtrust.org.uk or call us directly on 01372 220031.